The Panitz & Kossoff, LLP law firm provides nationwide Federal Tax Litigation representation. We are tax litigation specialists, concentrating our practice on trials before the United States Tax Court and appeals of tax cases from the Tax Court to all the Federal Circuit Courts. Our landmark victory in the United States Supreme Court, Williams v. United States (1995) changed the law in this country regarding IRS seizures and permitted third party taxpayers to sue the IRS for property wrongfully taken to pay the debt of another. Our firm was organized to fill a need that was not being addressed in the general tax community. Most large law firms have a tax department; however this group is often made up of mostly estate planning attorneys, corporate tax planners or ERISA attorneys who do not litigate cases. When a tax litigation case arises, most of the larger firms bring in an attorney from the civil litigation side of the practice to assist in the case, or they make a tax planning attorney litigate in an arena where most tax attorneys are neither experienced nor comfortable. Our attorneys are specialists in Federal tax litigation! Our tax litigators are graduates of the New York University School of Law Tax Program. The LL.M. degree awarded by NYU is world renowned as the top educational tax program. As licensed practitioners before the United States Tax Court, our tax attorneys may appear before the Tax Court in every state in the United States, including the territories of Puerto Rico, Guam and the U.S. Virgin Islands. The United States Tax Court is situated in Washington, D.C. However, the judges of the Tax Court conduct two week trial sessions across the United States to accommodate taxpayers and their witnesses. Federal Tax Litigation is our specialty and our passion. Most of our clients are corporations or high net worth individuals who have been or are involved in an IRS audit. Typically, our tax attorneys are brought in early in the proceedings when their accountants do not feel the audit is proceeding to their liking or there is a dispute over the legal interpretation of a tax law. The first goal of our tax attorneys is to attempt to minimize the effect of the audit and settle the matter. Our tax litigators will review the legal issues involved, and provide the IRS or the accountants the authority for the tax positions taken by the client. If the matter is to proceed to the United States Tax Court, our tax attorneys are experts on the tax law as well as the Tax Court’s procedures. When the IRS issues a "Notice of Deficiency," also known as a "90 Day Letter," corporate counsel or the company's accountants retain us to file a petition to the United States Tax Court. This is a very time sensitive process, failure to timely file the petition results in a loss of all rights to dispute the IRS asserted tax liability. Our Federal Tax Litigation cases are handled on a flat fee basis so the client knows at the outset what the costs will be and can make the appropriate budgetary decisions. Our tax litigators’ experience in the United States Tax Court allows us to estimate the costs within a range and therefore commit to a fixed fee in advance. Because we are tax litigation specialists, we draw upon our previous case history and this enables us to be more efficient and help keep our clients’ litigation costs down. Tax Court litigation is broken into numerous stages of representation, and we allocate our flat fee into each stage so that our client will only pay for the stage of representation currently involved. Therefore, if the case can be settled at an earlier stage of representation, we have saved the tax litigation fees as well. There are no additional costs for travel for our tax attorneys. Since we represent clients all across the United States, it is our policy to travel to and litigate a Federal Tax case in the client’s state. Our tax attorney will conveniently interview all the witnesses, at their location, to support the positions taken on the tax return. When a corporation or an individual is in a fight with the IRS, we are the proven winners who have taken our clients to the United States Supreme Court and changed the tax laws in this country. If you need the best tax litigators, you need Panitz & Kossoff, LLP. We look forward to representing you or your company in its battle with the IRS. Williams v. United States argued to U.S. Supreme Court 1995 and won, issue involved the ability of a third party whose property was seized to pay the tax debt of another, had standing to sue the IRS for the value of the erroneously seized property. Williams v. United States argued to U.S. Court of Appeals (9th Cir.) 4/25/1994 and won (same issues as above, which eventually was argued before the United States Supreme Court). Jamar v. Commissioner argued to U.S. Court of Appeals (9th Cir. )9/19/04 and won. The case involved a hazardous waste disposal corporation and the issue of when various expenses could be deducted by the corporation after an IRS attempt to allocate the expenses under IRC 482. The victory saved the corporate taxpayer approximately $3 million dollars. Addessi v. Alliance Mtg. U.S. District Court litigation, (1997) involved a victory for a borrower against a Federal Bank under Federal truth-in-lending laws. In re Chandler Estate U.S. District Court litigation, won (1998) and involved procuring a Federal Tax refund from the IRS after the IRS had denied the refund to the estate of the taxpayer. Beiner v. Commissioner trial in U.S. Tax Court decided on 9/28/04, won representing an electrical supply distribution corporation and its chief executive officer when the IRS refused to allow deductions for compensation of officers as reasonable. The victory saved the company approximately $6 million in deductions, both for the three years audited and the subsequent three years which were under threat of audit. Longbotham v. Commissioner trial in U.S. Tax Court 6/3/1991 and won, representing a taxpayer who used his yacht for business purposes and for pleasure but kept meticulous logs and accounted for all business purposes including using the yacht to sell additional yachts to potential buyers. Saved the taxpayer the business deductions pertaining to the yacht. Perfit v. Commissioner motion in U.S. Tax Court 3/20/92 and won, involved obtaining innocent spouse protection for the taxpayer from tax shelter investments in cattle ranches by her ex-husband. The victory saved the taxpayer $1 million dollars. Pohoski v. Commissioner trial in U.S. Tax Court on 3/10/98 and won on the issue of the business purpose of renting condominiums in Hawaii, taxpayer kept meticulous logs of rentals versus personal use for one of the condominiums. Palmisano v. Commissioner U.S. Tax Court, successful settlement on 1/6/00. Taxpayer was audited regarding the basis of inheritance real estate. 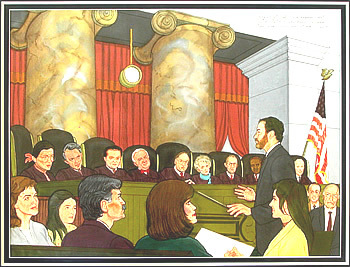 Alajarin v. Commissioner U.S. Tax Court, successful settlement on 2/18/05. Taxpayer was a construction corporation that also built property for their own account. Settlement was due to convincing IRS to allow capital gain treatment for these types of investment properties versus ordinary income for those properties constructed for the sale in the ordinary course of business. Blaine v. Commissioner U.S. Tax Court, successful settlement on 5/7/01. Taxpayer was a founder of an organization involving networking and the IRS originally disallowed his expenses related to the commencement of the enterprise. McCoy v. Commissioner U.S. Tax Court, successful settlement on 1/6/00. Taxpayer was a professional motorcycle racer who the IRS originally disallowed his deductions as a hobby loss. Settlement allowed the deductions and an acknowledgment that the taxpayer was a professional racer. Muelder v. Commissioner U.S. Tax Court, successful settlement on 7/24/02. Case involved the characterization of gain as ordinary income by the IRS, the settlement treated the income as capital gain. Straede v. Commissioner U.S. Tax Court, successful settlement on 10/19/04. The IRS originally attributed substantial income to an elderly taxpayer, after investigation by Panitz & Kossoff, LLP the IRS settled the case based on their error and taxpayer owed zero. Wilson v. Franchise Tax Board Trial in California Superior Court 1992 and won (reversed by Calif. Court of Appeals) regarding a professional NFL quarterback whom the California Franchise Tax Board asserted was a resident of California, and the trial court agreed to allocate his income from the then Los Angeles Raiders between his home state of Washington and California. Overturned on other grounds in the California Court of Appeals. A case in the United States Tax Court typically commences when the government’s auditors take a position that an accountant would find unreasonable. The accountant or in-house corporate counsel then contact federal tax litigation attorneys like Panitz & Kossoff, LLP to review the position taken by the IRS. If a determination is made that the government’s position is not correct under the tax law, or is overly aggressive, we then counsel in-house corporate counsel or the corporation’s accountants to have the IRS issue what is called a Notice of Deficiency, also known as the “90 day letter.” This document, once issued, allows the amount of deficiency to be disputed in the United States Tax Court upon the filing of a petition to that court. Panitz & Kossoff, LLP’s tax litigation group would then file the petition within the 90 day period provided. The IRS then has 60 days to answer the petition. A tax court trial is usually set for a date approximately 12 months from the date of the petition filing. During the interim, discovery is commenced and two formal opportunities to settle the case are provided. The first is called an “Appeals Conference,” where an IRS Appeals Officer meets with federal tax litigation attorneys from Panitz & Kossoff, LLP to discuss the legal issues involved and the factual substantiation of items taken on the federal tax return. An appeals officer looks at the case differently than an auditor, the case at this stage is reviewed under a “hazards of litigation” theory. If the case is not settled at this point, prior to trial a mandatory “Branerton Conference” must be conducted. The Branerton Conference is when the attorneys for the IRS and the federal tax litigation attorneys from Panitz & Kossoff, LLP meet to discuss issues such as settlement potential, and stipulations of fact and law that must be presented to the Judge. If the case does proceed to trial, the case will be tried in the United States Tax Court at a location closest to the taxpayer for the convenience of witnesses. After the completion of the trial, the federal tax litigation attorneys are ordered to prepare “briefs” that summarize the evidence presented and argue its probative value in proving the case. After receipt of all briefs, the Judge will write an opinion and it will be published. Both the IRS and the federal tax litigation attorneys, on behalf of their client, have the opportunity to appeal to the Federal Circuit Court within the circuit where the tax court trial was conducted should the result not be favorable to their position.